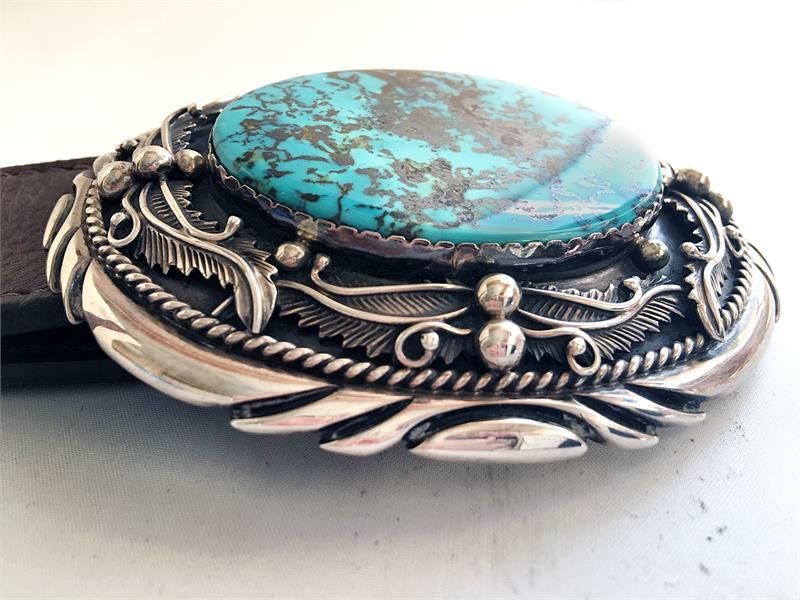 Beautiful buckle from a private collection. 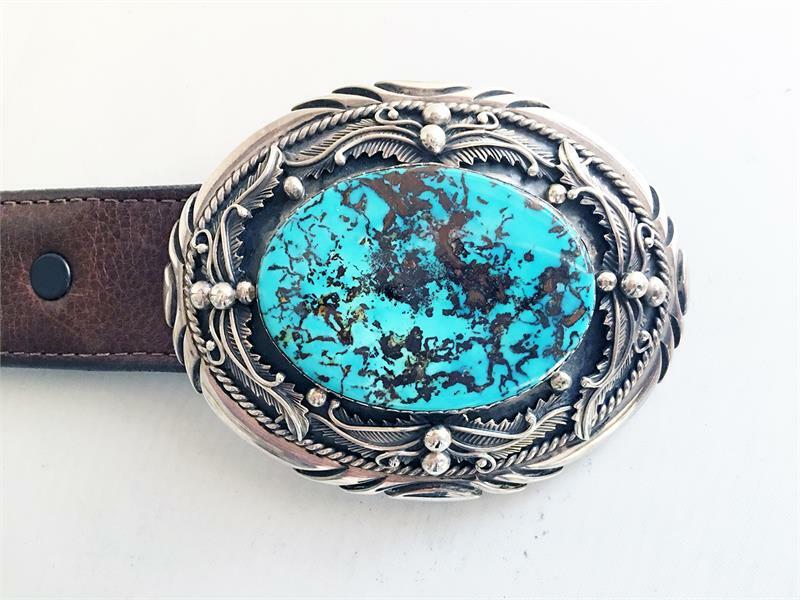 The turquoise is 1 1/2 by 2" and speaks for itself. 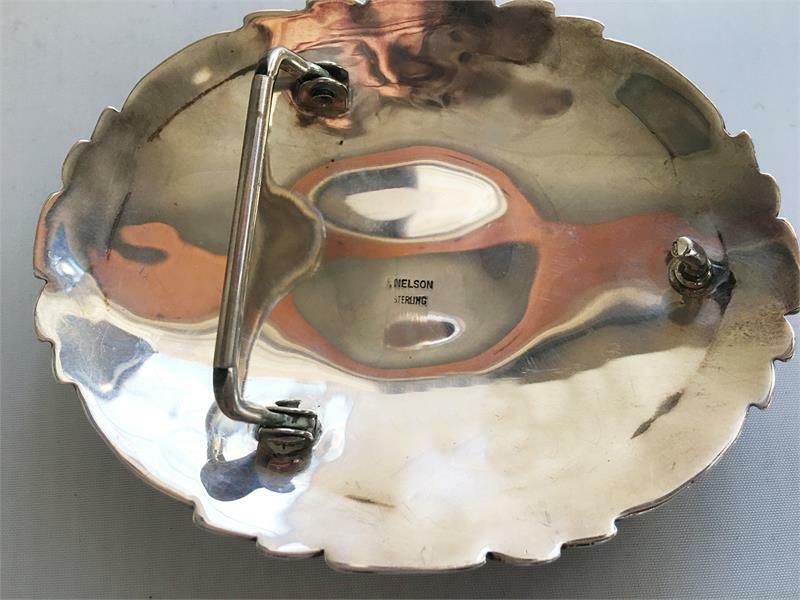 The buckle measures 2 3/4" tall and is 2 5/8" wide. 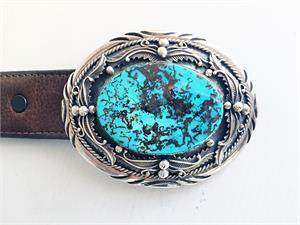 It fits a buckle that is 1 1/5" wide. A piece to treasure forever.